by combining a soft sculpted look with unique cellular construction. 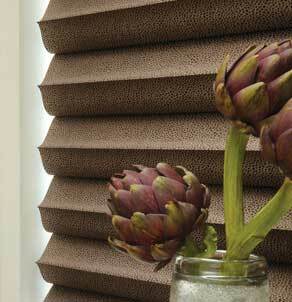 Solera shades bring a whole new window covering design to the market. By offering a focused fabric collection, available in both light-filtering and room-darkening options. Solera Soft Shades are part of the Hunter Douglas Counterparts program, a collection of complementary fabrics with Vignette Modern Roman Shades. Solera Soft Shades feature proven lift systems with internal lift cords for enhanced child safety. The lifting systems available are Ultra Glide, EasyRise, Literise and PowerView. Learn more about Solera Shades. Speak with a professional Design Consultant at Sheila's Window Toppers & More.